Info: Teenage Mutant Ninja Turtles is a 2014 movie starring Megan Fox as reporter April O'Neal, Will Arnett as cameraman Vernon Fenwick and William Fichtner as Eric Sacks. 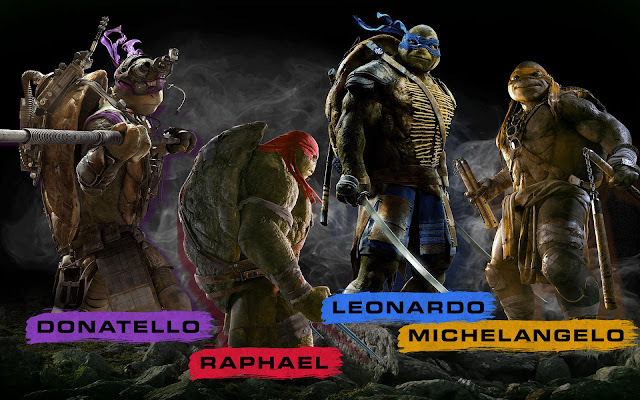 There are, of course, Donatello, Raphael, Michelangelo and Leonardo, with their "father" master Splinter, as main characters of this adventure, comedy and action movie. Main bad guy is Shredder. This movie is 1 hour and 41 minutes long. Plot: There is a group of people, called the evil Foot Clan, who are torturing the city. What the citizens of New York don't know is there are 4 vigilantes out there who are trying to protect them. Somehow, April witnesses the battle between the two groups and becomes a part of this huge underground secret. There is later revealed that one of the most powerful men out there, Eric Sacks, is actually a bad guy working for his father figure Shredder and their plan is to get rich by saving the city which they would previously poison. Ten (or something) years ago, April's father and Sacks were trying to develop an antidote in case something bad happens to the city. April's father found out about Sacks's evil plan so Sacks killed him. They were experimenting on 4 turtles and 1 rat. Although there was a fire at the lab, April managed to save the animals and they were living in a sewage ever since. 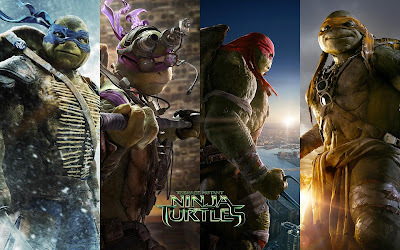 Splinter took care and trained 4 little turtles to became ninjas who will protects the city. Sacks manages to capture the three of brothers, leaving Raphael to save them. In Sacks's attempt to drain them out of blood, brothers are weakened, but April comes with Vernon and Raphael just in time to give them adrenaline and save them. They all have one last fight with Shredder and succeed in stopping the poison of getting out. There is one of the last scenes where we can see Shredder taking just a bit of the remaining antidote. My impression: I loved the cartoon when I was a kid, so watching this is a normal development of the situation. I really liked the movie, although I did skip few seconds of pure fighting. I loved the explanation scenes of how they became ninja turtles. I also loved the scene of baby turtles and seeing them as kids. While stuck in an elevator, 4 of them start being DJ's which I though was pretty spontaneous and funny scene. There was also one scene where, usually though and rebellious, Raphael has a beautiful speech (as they think they're going to die). There was one (but pretty big) thing I didn't like. It was the fact we see more of April and her point of view than the TMNT's. And I thought Splinter was very ugly. Raphael: I just... uh, uh... If this our last moment together, I just want you guys to know I'm sorry! I'm sorry I was so hard on you! Ugh. Everytime I pushed you I... I threatened you, I yelled at you, I pushed you beyond your limits, it's because I believe in you! I believe in each one of you! I believe in you spirit and your intelligence and your potential! And every time I talked about walking away it was because I was scared! I just didn't think I was good enough to stand next to you and call you brothers, and say to you, I love you! I love you guys so much! Recommendation? You have to be into talking ninja turtles to watch this, because otherwise, I think you would be really bored. But if you ever watched the cartoon or know what are you getting into, I'd say to watch the movie! It's basically an action movie mixed with funny lines presented by huge talking turtles. Cowabunga, dude! Have you watched TMNT? Cartoon or movie? 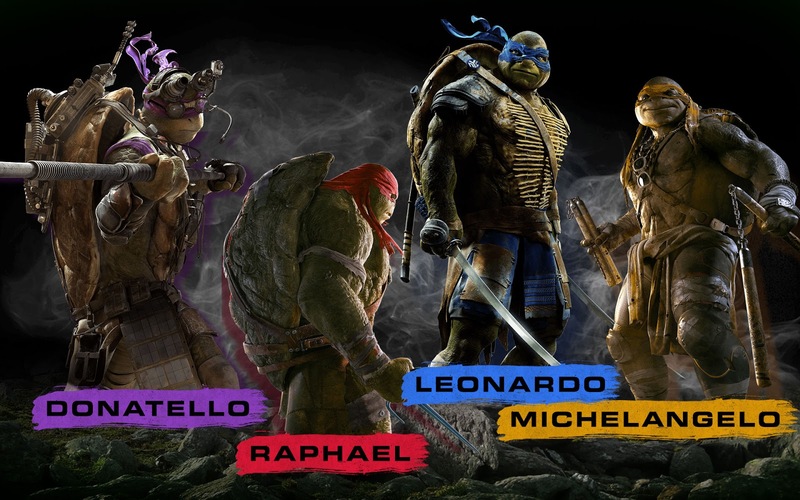 Are you excited for the new TMNT movie coming this year?